Harley-Davidson Vintage Wood Storage Bench & Seat HDL-13601V - Free Shipping over $99 at California Car Cover Co.
Classic storage for your game room, family room, man cave, or workspace. 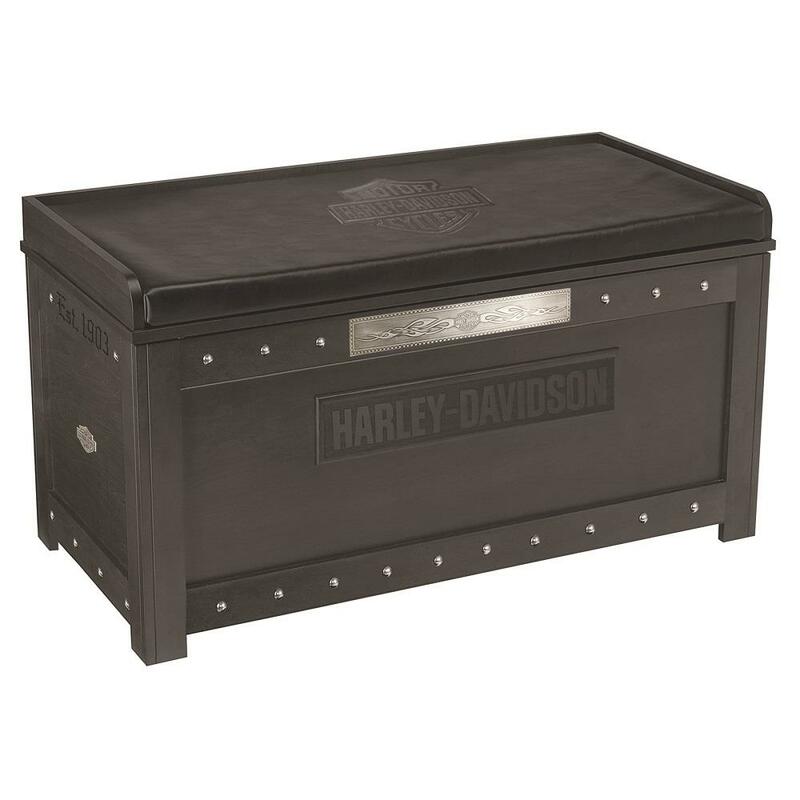 Beautifully crafted of hand finished hardwoods, this Harley-Davidson® Storage Bench features an embossed Bar & Shield, and black leatherette seat cushion. Heavy-duty tension adjustable hinges hold the lid open while you stow your personal items. Sliding, removable tray offers a convenient place for smaller accessories. Features hand rubbed, distressed Vintage Black finish with pewter accents, hand set metal studs, Bar & Shield medallions and an etched Bar & Shield flames metal accent plate. Arrives fully assembled. Measures 42”W x 24”H x 20”D.